A bumper explosion of aliens, monsters and battles. Help Ben 10 to take his rivals down! In this book of activities, puzzles, codes and mazes, YOU get the chance to join our hero on his rounds. Help him to spot hidden threats, match aliens to their shadows, crack codes and follow clues to identify naughty villains! Will good or evil come out stronger? Weigh it up with fifty cool stickers of the good guys – and the bad ones! This is a chance for adventurous boys or girls to become Ben 10! All will love this! 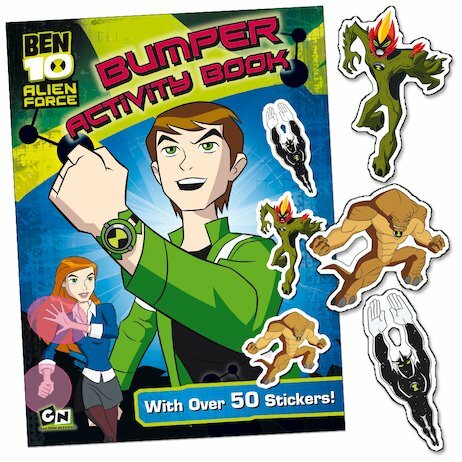 i wish i had this book!cos i lovvve ben 10!.bring it on!.yeahhh!.